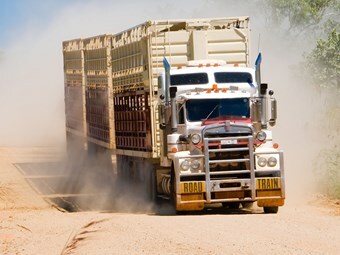 Fatigue management scheme for livestock transport misses the mark, fatigue expert says. Introduced in 2015, the fatigue management scheme for livestock transporters is designed to recognise the sector's needs. Fatigue expert Professor Ann Williamson has criticised the National Heavy Vehicle Regulator’s (NHVR) new fatigue management scheme for livestock transporters. The agency in 2015 released a module to allow livestock transporters to work up to 14 hours a day for 11 days straight. Drivers who work for 14 hours in a 24-hour period must then have a minimum of 10 hours rest. The scheme is designed to address the distinct operating conditions livestock transporters face, such as travelling long distances to and from remote locations, and has the support of the industry. However, Williamson believes it allows drivers to work too many hours and does not include enough measures to offset long workdays. "I’m not very happy with the livestock one, I’m afraid," says Williamson, who provided advice to the NHVR during the development of the scheme. "Unfortunately, what was said to them, what was said to the NHVR, the advice was there but they chose to allow it. I am concerned about what is going on there." Introduced on July 1 last year, the scheme is open to companies and individuals with advanced fatigue management (AFM) accreditation. While it does not permit operators and drivers to exceed daily basic fatigue management (BFM) hours, it does provide them with greater flexibility through offering more 14-hour consecutive workdays in return for implementing countermeasures to manage fatigue. Under BFM, drivers are limited to six consecutive 14-hour workdays before needing to take a day’s rest. Williamson says the NHVR is guilty of "old fashioned thinking" regarding the livestock fatigue module, pointing out that it appears to focus heavily on scheduling long trips as much as possible. "I don’t think they have got what AFM is really about, which is you don’t have to ask for the longest trips you ever want. What you have to look at is how you can do the longest trips occasionally and the best way of doing it, and I didn’t see that in that model," she says. Williamson says she understands the nature of livestock transport involves carting freight to and from remote locations, but adds that it does not mean a single driver should need to bear the entire workload. "I get that, but maybe that is when you have to say, ‘I’ll use two drivers’…It’s a matter of being more creative about it, I think," she says.